In the surrounding villages of the three community libraries currently being supported through the Rising Voices grantee project Xela Civic Libraries, one might hear any number of indigenous languages during conversations between residents. In the Department of Quetzaltenango in Guatemala, languages such as K'iche’ and Mam continue to play a central role in rural daily life. 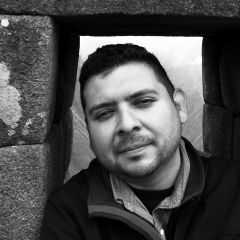 The importance of maintaining these indigenous languages has been recognized by the Riecken Libraries, which has been implementing the Civic Libraries project in the towns of Huitán, Cabricán, and San Carlos Sija. The libraries have taken the initiative to engage community residents by collecting oral stories from village elders and document them in the form of bilingual illustrated books. 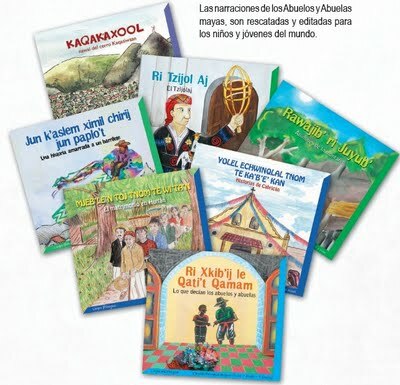 Community residents took part as interviewers, artists, translators, and writers to complete a series of eight books made available to the local community. The books were also featured at Guatemala's International Book Fair [es] in late 2011. Many years ago, there was a Mayan-Mam wedding in the Municipality of Huitán. Under the warmth of the red sun that had been fading on the horizon, two parents Yo'k and Paẍ were worried because their son Leẍ was already 18 years-old and the time had come to find him a wife. According to ancient tradition of the community, they were responsible for finding him a wife. – I am thinking that B'iẍ, the daughter of Loj..
Another participant in the Xela Civic Libraries project is Nélida Ramos, who is also one of the librarians in the town of Cabricán. She also shared some common greetings in the Mam language on this audio recording.